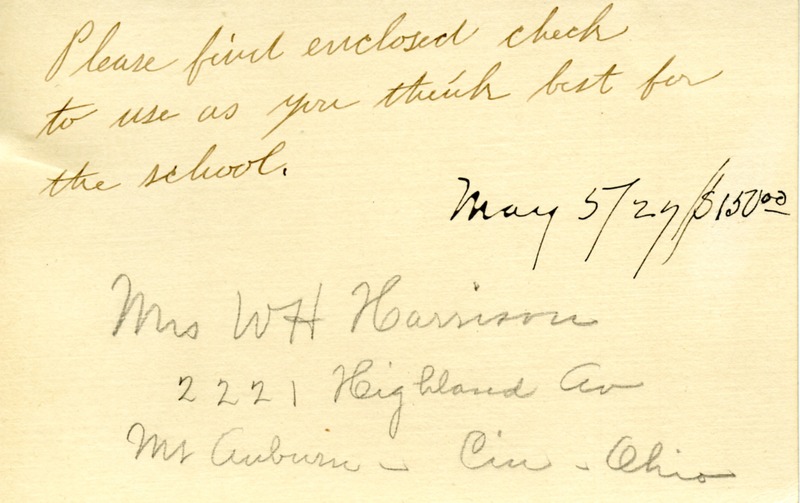 Harrison sends Martha Berry a $150 donation to the schools and mentions how much she enjoyed her visit to the mountains. 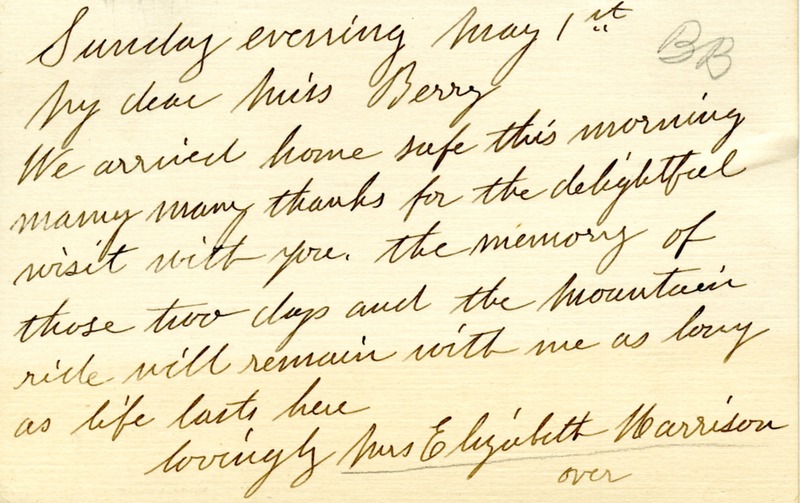 Mrs. Elizabeth Harrison, “Letter from Elizabeth Harrison to Martha Berry.” Martha Berry Digital Archive. Eds. Schlitz, Stephanie A., Sherre Harrington, Christy Snider, et al. Mount Berry: Berry College, 2012. accessed April 21, 2019, https://mbda.berry.edu/items/show/4449.